So, when I first got the opportunity to review this book, I was excited! The concept seemed so cool and I figured it would be an amazing first ARC to read for the blog. Unfortunately though, I was extremely disappointed /: The author just didn't execute the concept as good as I had been hoping for. I'm sure if another author was writing this it would have been better, because with as good a concept as Rebekah L. Purdy had, it had the potential to be a fantastic book. The main thing that bothered me was all of the love interests. It was basically a freaking love square and that bothered me to no end. Love triangles are bad enough, but a love square? Totally unnecessary. She "fell in love" with all three guys too easily. And I know y'all are gonna say "but Tia! The first two were using charms on her! She couldn't have fought it!" But she could have. You always see protagonists beat the odds and fight the compulsions that people try and put them under...but Salome didn't do that. Although I liked the concept of this book, the execution just wasn't up to par. I'm sure there are people who would argue with me on this but this is my honest opinion and it's not going to change. 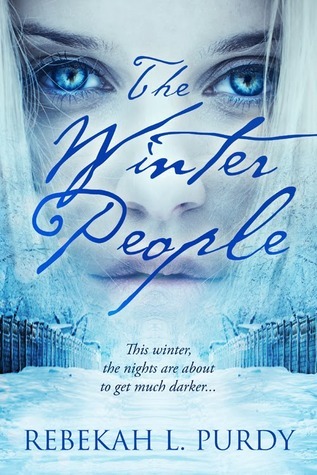 The Winter People only gains 2 stars in my eyes, but if you want to see for yourself then go ahead and read it ^^ I won't stop you.